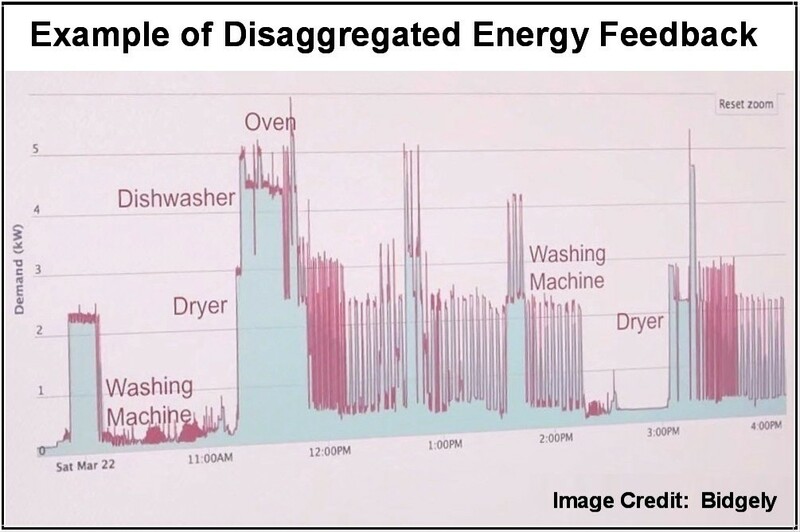 In this instance, “enhanced feedback” consists of energy consumption information that can be communicated through in-home displays (IHDs) and/or can be disaggregated by individual appliance (or load types or behaviors) by analyzing data from smart meters for each customer. In reality, very few consumers yet have access to this level of detail where smart meter data has been displayed through IHDs or disaggregated into individual uses. Generally in the United States and Canada, consumers with smart meters have access to their granular data through a web portal (on a delayed basis) so they can see when they use the most energy. In addition, there is little evidence that consumers are interested in having access to this data. As previously reported at this website, less than 1% of the millions of smart meter customers in Texas have ever logged in to view their usage data . In my prior article at this website (Part 1) , I laid the foundation for why prior studies going back some 20 years or so have provided inflated, positively biased results that smart meter enabled feedback mechanisms can help consumers conserve energy. These prior studies asserted that smart meters could enable energy savings of up to 12 to 15%. Although the 2013 review  made attempts to account for study biases, it did not provide adjustments for the volunteer selection bias, stating that “no adjustment estimates are available.” The previously mentioned 2016 study  developed a rationale to assign an adjustment value of 16 %, estimating that the average opt-in rate is 16 %. If one were to assign the same value to the 2013 study results, then the reduction in energy use expected from IHDs would drop from 3 % to about 0.5 % for the general population. With an expected potential savings of less than 1 % for the general population through the use of smart meter enabled enhanced feedback, it would be meaningless (and a waste of resources) to attempt massive expenditures for smart meter deployments. Without any interaction with smart meter feedback, a consumer could easily save much more energy by simply reviewing and acting on some of the helpful information provided at the website of Exploring Energy Efficiency & Alternatives  or my prior article of Tips on How to Save Energy and Money without a ‘Smart’ Meter . 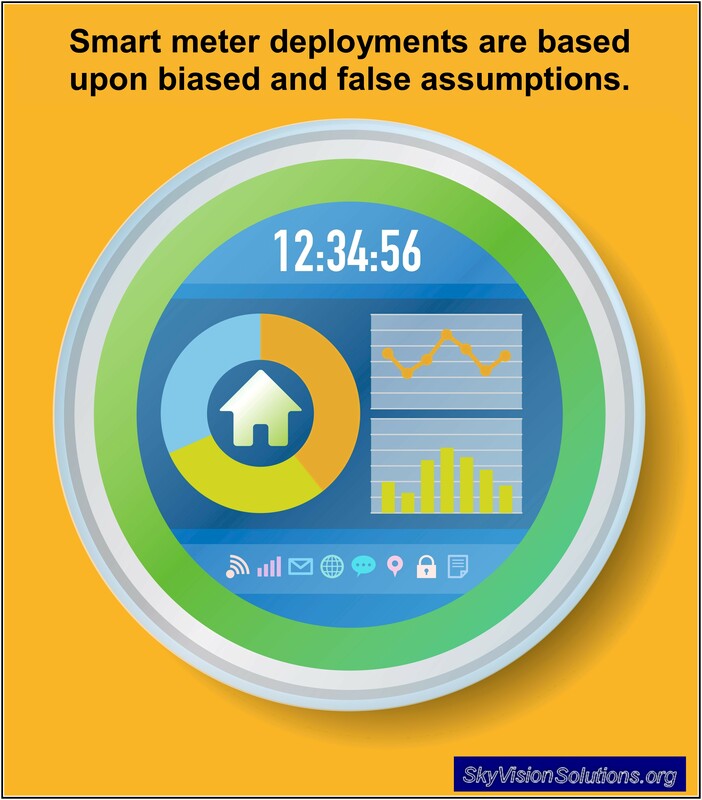 Utility companies have been able to largely fund smart meter deployments based upon biased and false assumptions that enhanced feedback enabled by smart meters would result in consumers significantly reducing their energy consumption. Certainly in trying to convince regulators on the concept of smart meters and having the customers pay for the meters, this was the “sales pitch” from a policy perspective. 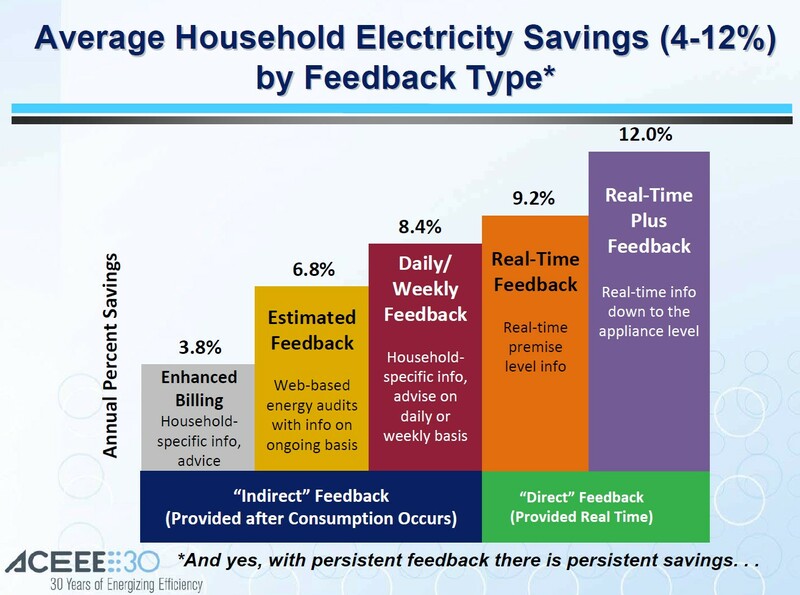 As stated in my prior article (Part 1) , the ACEEE created a chart in 2010 that indicated that direct feedback through IHDs could be expected to reduce “average household electricity savings” by 9.2 %. The ACEEE also proclaimed that “real-time info down to the appliance level” could reduce the same savings by up to 12.0 %. Smart meter proponents have begun to realize that smart meters have failed and were a dumb investment in terms of meeting their initial expectations (as outlined in my 2014 article at this website) . Unfortunately, rather than admitting defeat, they are now pushing for crude and heavy-handed pricing mechanisms in attempt to change consumer behavior  . It is quite clear that policy makers and electric utility companies are not acting in the best interests of consumers. There is an urgent need for smart meter deployment projects to be re-evaluated and for governments and regulators to rationally judge these projects based upon unbiased information and from a consumer protection perspective. 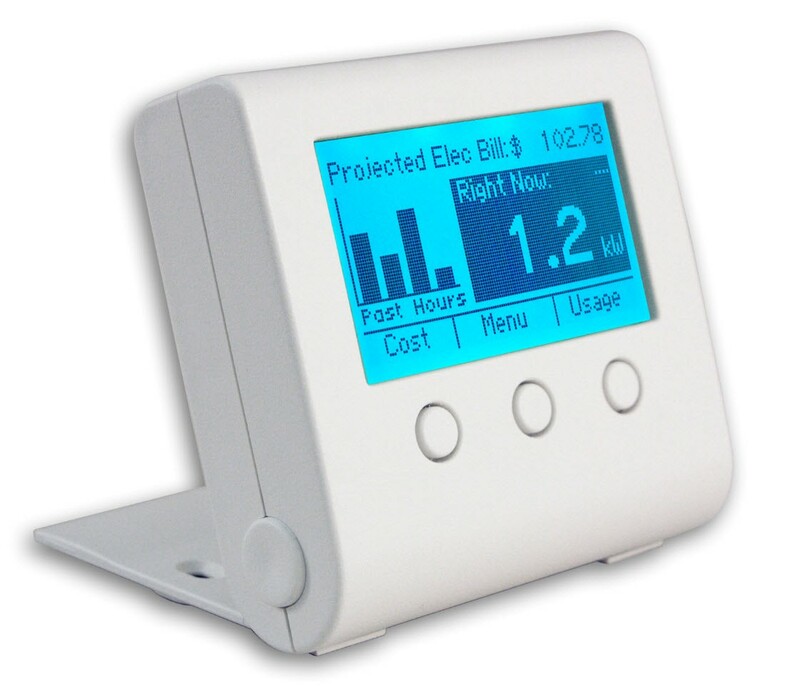 ‘Smart’ Meters Have Failed and Were a Dumb Investment, SkyVision Solutions Blog Article, December 2014, at https://smartgridawareness.org/2014/12/18/smart-meters-have-failed/. This entry was posted in Smart Grid, Smart Meters, and RF Emissions and tagged Bias, Costs, Eco-feedback, in-home dispays (IHDs), Smart Meters. Bookmark the permalink. There is a significant reason the utilities want the Smart Meter or the Electronic Equivalent of the Smart Meter (where the 900 MHz radio is turned off). The Analog Meters used an eddy current technology to measure current usage. The new Smart Metes or their electronic equivalent use a Hall Effect Senor (looks like a Doughnut with a wire running thru it). An eddy current cannot easily detect the full inrush current of an electric motor, such as your A/C, Freezer, Refrigerator, furnace fan, etc. which varies a little appliance to appliance of about .6 Seconds. So the Smart Meter and the Electronic equivalent (Opt out meters) can detect this inrush current that is 300 to 400 % higher than the steady state current. Since the utility will not tell you their method to calculate how they will measure current use we can assume they are averaging this over some time period which likely is in 10-15 minute slices. So this one spike for .6 seconds will skew the average calculation they use to bill the customer. The more appliances that start up in the time slice they use the higher the calculated average current use increases. I believe this is likely the root cause of higher bills people experience when they have a Smart Meter, in addition there is a change in who powers the meter, now the customer pays to power the meter. The Analog meter did not consume any power because it is using an electromagnet which does not cost the Utility or the customer any cost to run..In a Smart Meter enabled home If you were to turn off the main house breaker you for a full billing period would still get a bill for the power it took to run the Smart Meter. I am convinced this is the reason they want to install Smart Meters, your bill will go up even though you have made no changes in your typical use, it would be interesting to have a Public Service Commission be challenged by consumers on this determination of how the utility calculates their current use averages. Just Google “Electric Motor In Rush Current Images” to see an example of what I am talking about. The other Zealots want to ration how much power you use and when you use it are convinced that if they make your cost of running things so outrageously expensive that you will have to go broke paying the bill and you will change your behavior.They are control freaks. They cannot get you to change your behavior any other way except by force.This will backfire on them, consumers will figure out how to augment their power capacity during the peak demand/higher rate period, with either generators, solar power, off peak chargers with battery systems, etc. These Zealots are more motivated by their desire to control the behavior of the general population from their perspective or in their misguided desire to save the planet etc. The Smart Grid places an enormous burden not any savings on the power grid, when you add up to incremental power demand from all the Smart Meters,the Medusa Collectors, the Repeaters on the power pole, the added data center power needs to store all the Smart Meter data, a massive change in a redesign of the billing systems for Demand Response/Time of Use billing, the added employees to sift through all the data and the capital reserves needed to replace the Smart Grid equipment every 10-15 years, versus every 40-50 years. All this cost must be passed on to the consumer. The Utilities really like this Smart Grid deal, they make more money and it is disguised as a “Smart Energy” initiative to get deeper in your wallet. This is a large billing scam when you break this all down. If you have not figured out by now that we are getting screwed over, I cannot help you. I was forwarded an e-mail reply in an anonymous fashion to my article by someone purported to be an environmental activist who is pro-smart meter. In support of furthering the conversation on this topic, I am quoting the relevant portions of the reply and then providing my own short response. This article is incorrect for several quite different reasons. First, smart meters are just getting linked to software which enables customers to use them to save energy. Second, the more important reason for smart meters has nothing to do with customer savings, but rather is about reducing utility costs. They unquestionably do this sufficiently to pay for themselves. Third, the real benefit from smart meters will come in the near future as utilities learn to link distributed solar, variable wind, a host of new customer response technologies which I think of as dispatchable load and perhaps some real energy storage technologies. My article was based upon the latest research. There is nothing “incorrect” about it. I simply summarized research data which amounts to common sense that, overall, smart meters are going to save consumers negligible amounts of energy. [The research considers the future condition where all consumers could have access to IHDs and disaggregated energy consumption feedback.] And at what cost do we have so little benefit when you consider all the risks related to health, fires, privacy, cyber threats, etc? As I said in the article, you could do better at saving energy by just reading and acting on my article at https://smartgridawareness.org/2016/01/28/how-to-save-energy-without-a-smart-meter/. And for energy efficiency, http://e3a4u.wyoextension.org/energy-technologies/home-energy/top-ten-tips/. I vehemently disagree that a “more important reason for smart meters has nothing to do with customer savings, but rather reducing utility costs.” The article was written from a consumer protection perspective in that we as concerned consumers don’t care that the utility can “reduce utility costs” by getting rid of all the jobs for human meter readers. [That is a positive?] And if the smart meters are so great at reducing costs, why don’t the utility companies just install them without asking the ratepayers/customers to foot the bill? Why do these devices need to be subsidized by government handouts? It is because they are not cost effective on their own. As for “near future” benefits of solar, wind, dispatchable load, etc., that sounds speculative to me. And for those consumers who want to sell power back to the grid, then yes, let them get a smart meter if they want. In addition, I am aware of many claims that smart meters enable implementation of demand response programs which could include automatic load control and storage options. 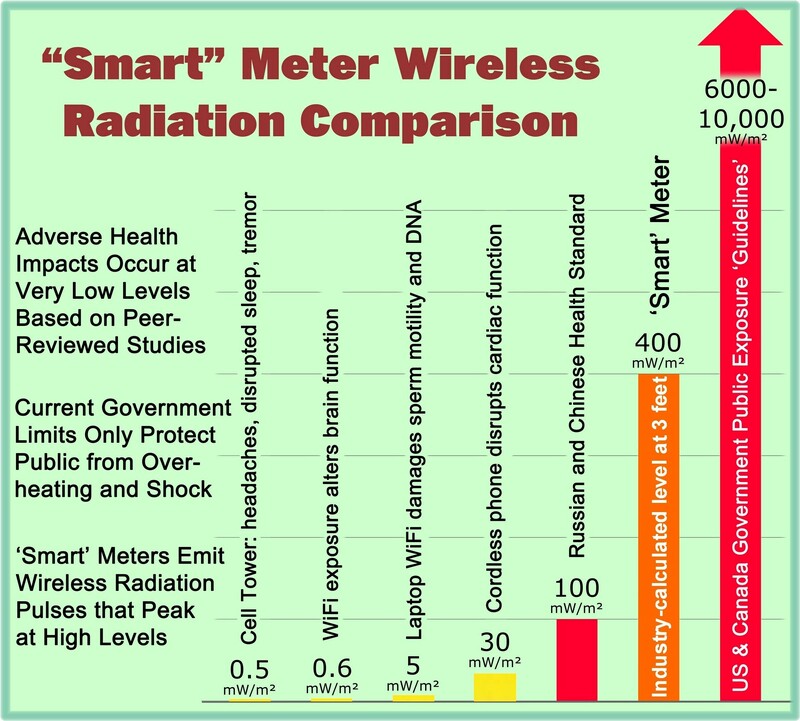 Upon review, however, it is actually quite clear these types of programs would be more effective (for those who want them) by using directly linked device/ appliance controls or home Internet routers rather than trying to work through the technologically inferior communication route of the ZigBee transmitter contained in most current generation smart meters. I think that was the plan all along. As I read many of the old studies written about how people can save 12 to 15% on their energy bills, many of these people/researchers seemed genuine in their beliefs. But they also seemed so naive and biased in their research methods, because it is obvious that they wanted it to be true, thus ignoring the inherent biases and problems with the feedback studies. I’m not sure it is fully clear in my article, but part of the issue is that it required the consumer savings benefits to be true for the policy makers to agree to have the consumers pay for the meters. Without that, the utilties should have had to pay for the “upgrades” from their own profits/ maintenance budgets. And they likely would never spend the money on their own as just getting rid of human meter readers is not enough of a cost savings to justify putting in smart meters and all the infrastructure that goes with it. But yes, there are those technocrats in high places who actually want rationing of energy and so the heavy-handed pricing mechanisms fit into that objective.